Maria Long is a mother of three, substitute teacher and tutor with a knack for crafting and DIY projects. Inspired by her grandmother, Maria has been sharing traditions old and new on her blog, Close to Home, since 2009. A proud owner of a Golden Retriever and cat, Maria blogs about pet care, in addition to topics related to crafts, DIY, home and garden. As you prepare for Easter Sunday, turn to Close to Home for everything from Easter baskets to edible decorations. 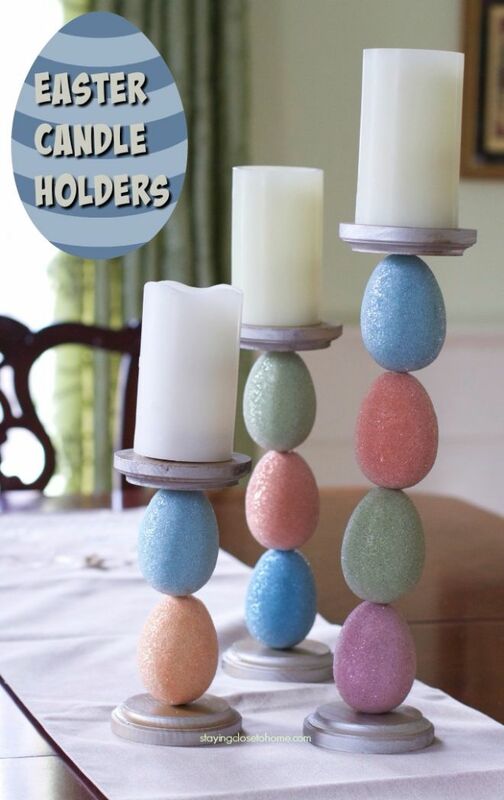 One of Maria's most adorable and functional Easter accessories are Easter egg candle holders. A fun craft activity for the whole family, these candle holders are affordable at less than $20 for all supplies. 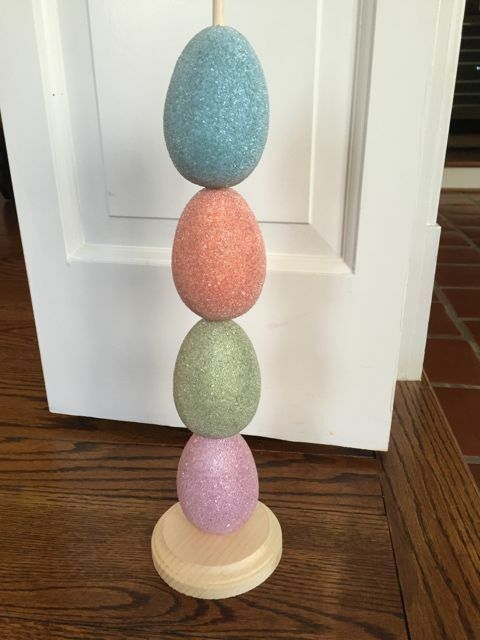 To make the Easter egg candle holders, you will need beaded Easter eggs, 1/4 inch wooden dowel, small wooden plaques, a drill, wood glue and spray paint. Maria bought her styrofoam beaded Easter eggs, but you can easily make your own using this tutorial by Two Sisters Crafting. Get inspired with these stunning eggs made by professional Russian beads artists, as shown on Beads Magic. 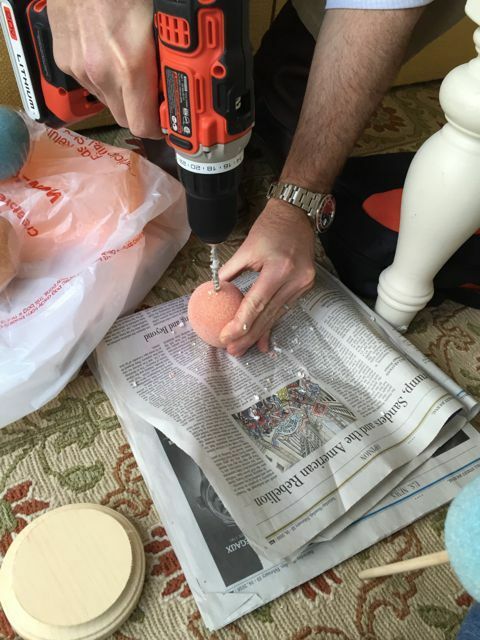 Begin by drilling holes into the ends of your Easter eggs and into your wooden plaques. Cut the length of the dowel to fit the number of eggs in your holder, leaving 1/3 of an inch on either side. For a cleaner, more professional look, spray the top and bottom of the candle holder. 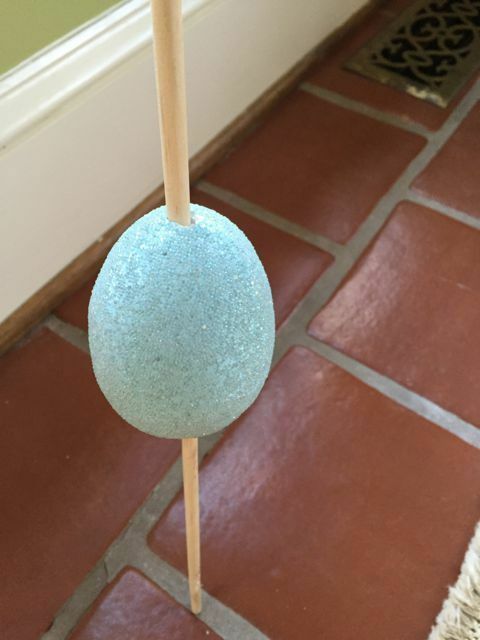 Once the paint has dried, weave the dowel into each egg and attach the wooden plaques. If the holder feels loose to you, add wood glue to the holes to secure the dowel. Maria suggests using a battery operated candle, but you can also use your new Easter-themed candle holder to hold wax burning candles. For Maria's full instructions and more Easter tips and tricks, visit Close to Home. 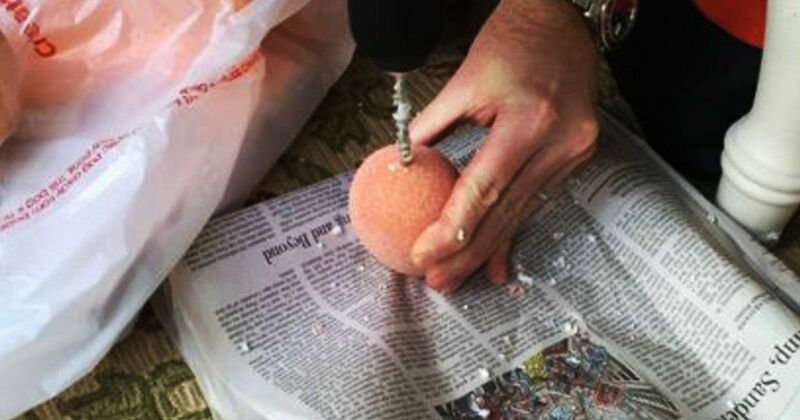 Plastic eggs are the ultimate blank canvases for DIY Easter projects. Wrap them with yarn and burlap, dress them with lace, and hand-made flowers, and pop them in a rustic basket, as suggested by Architecture Art Designs. Your young children will have a blast making these lightning bugs and bunnies. To enhance an elegant farm house décor with Easter accessories that can be used year-round, make SewforSoul's Découpage Easter eggs. If you love your new Easter egg candle holders as much as we do, SHARE this article!